Moses responded to the call of God just like many of us do today. In Moses’ responses, we see an obvious pattern that I am sure many of us can identify with. This pattern is the reason why so many people die without even starting the process of allowing their destiny to become a reality. Many of us feel disqualified even before we start. We fail to understand that if it’s God who calls us, He will also equip us to do the work. Even as we are sure that God is calling us to do certain things, we still, many times, make this issue about us as we close our eyes to the fact that we are doing His business and not ours. The enemy does not have a problem expressing himself; however, many times, it is us as Christians who find a million excuses and reasons to remain quiet. We must lose that fear and allow God to speak through us. This may sound like a humble action on Moses’ part, but for God it was not received that way. 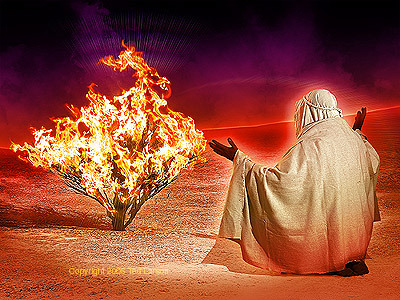 Again, Moses continued that path of making it look like it was all about him. However, God was exposing the killers of Moses’ destiny in preparation for the great assignment in his life. At that time, she said “bridegroom of blood,” referring to circumcision. Moses knew about circumcision; however decided to take lightly what the Lord established as a covenant sign. God does not play with our character; He will take the time to brutally deal with our unresolved issues with Him. Beloved, be aware of your destiny killers. Previous Previous post: The Art of Being Faithful in the Little Things! Every God called deliver had things to overcome, from Abraham, to Jacob, to Moses, on down to John the Baptist, to Peter, to Paul; sometimes it was the threat to death, sometimes it was even their own failures, etc. No doubt you, as a deliver, have things to overcome. I tell folks this, you have to be delivered to be a deliverer. There are people waiting for you to get over it. There are folks waiting for you to be delivered so you can bring deliverance to them. There are folks God has called you and anointed you to minister to who are bound, sick and hurting, and they are waiting for you to get over that thing, whatever it is, that stronghold the enemy has used against you to consume you, to bind you and keep you from fulfilling destiny. that is why I’m trying to press into your spirit the fact that you need to allow the purposes of God to prevail in your life. Realize you are called to be a deliverer. Realize you’re called out to be a blessing and there is nothing greater than the anointing of God and the ability of God to set you free. God speaks to you prophetically to say whatever happened to you was only preparing you for what he is going to do through you. John 10:10 says, “[the enemy] the thief comes not but to steal, kill and to destroy” but through Jesus, the life of God can prevail in your life. 2 Corinthians 10:5 talks about casting down arguments and every high thing that exalts itself against the knowledge of God. I believe the knowledge of your purpose, the knowledge of who you are in Christ Jesus will release destiny in you and thereby help you to cast down arguments the enemy uses to tell you why you can’t succeed and why you can’t be a blessing. Purpose, the reason God made you and chose you, causes you to u7nderstasnd that you can make a difference. When Satan uses the argument that you are a failure and you’ll never be anything more than that, the purposes of God say you are called to succeed. God destined you to win. God destined you to be effective. He purposed that you be fruitfull and that your fruit will remain. God knows your past, he knows your future — and yet he called you. You have to have confidence in God’s choice of you. God will speak purpose and destiny to you, even before the times you fail. God in his foreknowledge knew you would fail, yet he spoke to you before you failed to encourage you that your failure did not negate his purposes for you. So if you’re not going to speak faith, if you’re not going to say what the Word of God says, then don’t say anything. Many times when God is telling you to just hold your peace, what he is saying is just like he told Moses at the Red Sea, “Stand still and see the salvation of your God.” Just like he told the children of Israel to be quiet when marching around the walls of Jericho. Your walls are about to fall. Hold your peace. Stand your ground. Don’t give up. Don’t give in. Don’t compromise. Help is on the way. God will deliver you. According to the Word of God, there is an expected end. You are to expect a certain outcome. You ought to expect God to do exactly what he said he would do in your life. If you will not compromise, if you will not give up or give in, then God will cause you to enter the fullness of your destiny. God will cause you to possess the promises. Destiny will be released in you, and you will live in a land that God has prepared for you. Infact, am beyond words. d msg spoke directly to me. speakg expresly to my situatn. i tel u. am spechles, God bls u. wl luv to gv a luv ofering to suport d work. i wz blsd. pls pray 4 me. tk u.
this message has really touched my soul, may the almighty God expand you in a mighty way. Praise the Lord Pastor Martin Kobia.